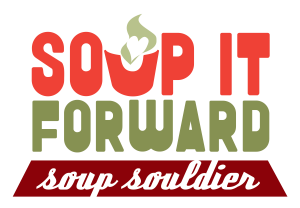 The Soup It Forward Initiative equips our POP families with fresh garden ingredients and wholesome monthly soup recipes to cook at home, and to then share with their neighbors. Our POP families live in a food desert and are engaged in our gardens. They help us tend the gardens, learn how to grow food, and form the heart of our POP community. To get involved in this or any of our initiatives, contact Elizabeth at ejdry54@yahoo.com. Let’s connect and spread love and soup throughout our communities! Join Us for the 100 Mile POP Dinner!